I try to live a simple life. Normally I'm not looking for any trouble. But one day I was doing exactly that; I wanted to hear the late '70's UK group Any Trouble on Spotify because their single "Yesterday's Love" had been stuck in my head all day. And when I loaded up the Spotify (keep in mind I am old enough to remember Disco so I call it 'the Spotify') and did my search, I noticed something... odd. If the name isn't ringing a bell for you, don't feel too bad. 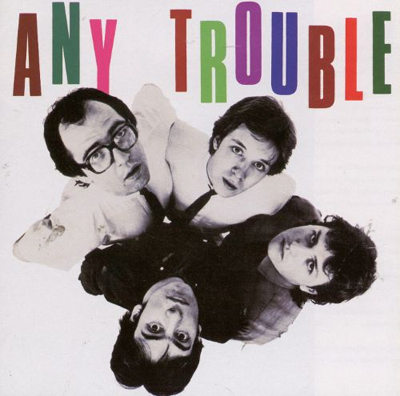 Any Trouble are one of those bands that sold well enough to keep getting label interest to put out their music, but never truly scored a "hit record." 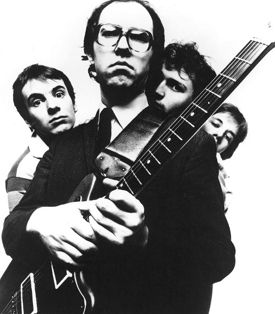 Leader Clive Gregson wasn't a very handsome frontman, and it didn't help that their early label Stiff already had a nerdy-looking artist in Elvis Costello. One could even say that the group was the least-fashionable looking bunch on a label of exclusively unfashionable artists. Clive himself has said that. 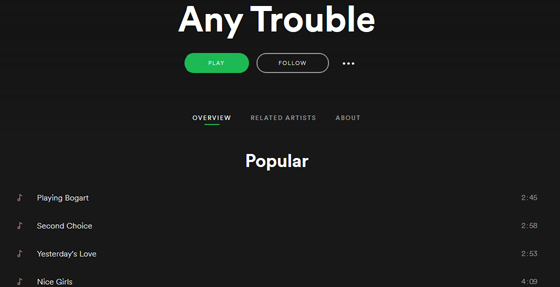 Under "Top Results" for "Any Trouble," the song I was looking for, "Yesterday's Love," was listed as #3. So it looks like other streamers also are particularly fond of that song! However, the song that was even more popular than that coming in at #1 was "Playing Bogart," a song that appears on their first LP from 1980 but was never released as a single. Why? Because the song was released as a 7" the previous year by the group 23 Jewels, produced by Any Trouble's frontman Clive Gregson. Here's 23 Jewels, the group from Nottingham that recorded the original "Playing Bogart." They look young, don't they? 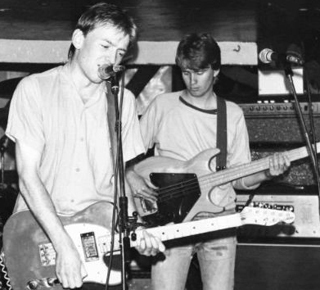 Leader Nick Simpson originally wrote the tune when he was in a group called Idiot Rouge that regularly played with pre-Stiff records Any Trouble, who at that time sounded more like pub rockers than power-poppers. That group disbanded when Simpson went to university and drummer John Doyle quit to join Howard Devoto's Magazine. Despite the breakup, Simpson was determined to get a recording out of "Playing Bogart" so he put together 23 Jewels with that single purpose. The bass player on the track, Paddy Russell, learned the two songs of the 45 the night before the recording and then never played with the group again. Yet somehow they were able to make something full of raw enthusiasm and passion that oozed pop brilliance despite primitive production values and rushed circumstances. They made something magical. Despite enthusiastic response to their self-released pressing, and multiple airplays on BBC Radio 1 by John Peel (the ultimate underground "thumbs up"), the major labels never came calling. In effort to share the song with a wider audience (not to mention nick an obvious hit) longtime pals Any Trouble recorded the song for their 1980 Stiff Records debut LP Where Are All The Nice Girls? The Stiff catalog has stayed mostly available, and that's how it ended up on Spotify. Nick Simpson moved on to other projects and let the 23 Jewels singles go out of print and become collector's items. So here we are, nearly 40 years later. Increasingly, people are turning to "the cloud" for their music and rather than buying albums, digital or otherwise, they are subscribing for access to platforms that have "almost" everything. The "almost" part is what we're discussing here. 23 Jewels' music (they ended up recording two follow-up singles) isn't available for legit streaming anywhere. If you wanted to hear it, you'd have to rely on dodgy YouTube or SoundCloud rips of questionable copyright, vinyl bootlegs (like Powerpearls 4, where I first discovered the song), or downloads from illegal MP3 blogs. Is this music forever relegated to obscure dark corners of obsessives and collectors, or worse... will it eventually be lost to history once the music industry completes its digital metamorphosis? We're looking at the very real possibility that obscure singles from the indie era might one day be like extinct birds seen in textbooks: we'll know that they once existed but nobody will be sure exactly what they sounded like. 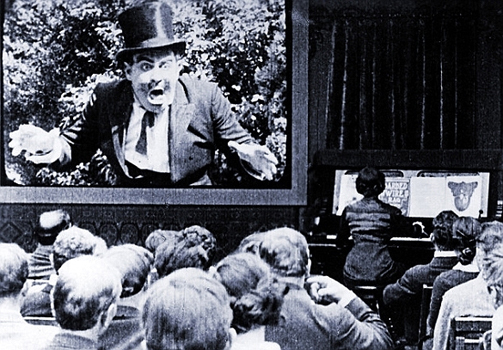 The Library of Congress estimates that just over 75% of the 10,000 plus major studio films produced during the Silent Film Era 1912-1929 are forever lost. Of those saved, only 14% exist in their original format, the remaining 11% being lower-quality prints or foreign versions. There is only data available for films released by large studios, anything produced by independents or obscure outlets has been lost to history. 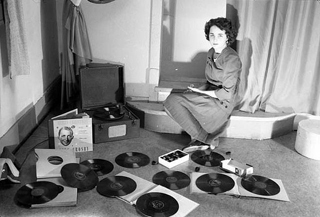 Record-collecting historians are aware of the problem, with the vinyl equivalent to silent films being 78-speed 10" records -- a format that dominated the market from its roots in the 1880's until the late-1950's when more familiar 45 and 33 speeds were introduced. Much of what was issued at 78 speed is unique to that format. 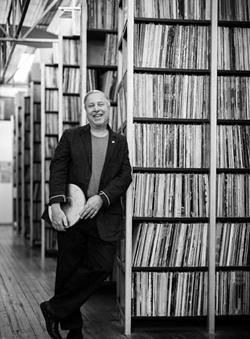 The Archive of Contemporary Music, AKA ARC, is run by underground champion and archivist B. George and working on the problem. Some readers may remember George as the editor and co-author (along with Martha DeFoe) of the totally ahead-of-the-curve punk record guide Volume: International Discography of the New Wave, a book published before such records were even called 'punk.' Both this book and the follow-up, updated version from 1983 are now collector's items. They are valuable because collectors cherish the minute details about the obscure artifacts of the era, recorded from the perspective of one of the very few people who realized at the time that it was all worth documenting. ARC, in conjunction with NY-based George Blood Audio, have assumed the daunting task of trying to digitally archive as many of the fragile shellac discs released during the 78-speed era as possible before they disappear like so many films from the silent era. A great boost the project came in 2016, when the ARC partnered with Archive.org to take their Great 78 Project online with a dual-purpose; not just to publicize the project and solicit help to add to their 200,000+ documented records, but also to share what's been documented so far of our shared musical culture in a modern accessible way. Until the transition from original media to modern media takes place, even "saved" history will be inaccessible to all but a select segment of dedicated collectors of antiques. When thinking about the thousands of truly obscure independently-pressed recordings from the 1960's through the '80's like 23 Jewels, it's reasonable to assume that many if not most of the master tapes have been lost, forgotten, or destroyed. Because many of these records went out of print during the big jump to CD audio, they were unlikely to get an authorized digital transfer and so they were ineligible to participate in the big cloud-based streaming party that was to follow. Every time popular culture drops one format for another, there is bound to be lost content that just gets lost in the transition. Most of the original wax cylinder recordings only exist in that format because they were deemed unworthy of reissuing when 78's took over. Similarly, most of the content currently being documented by the The Great 78 Project never survived the transition to 33 or 45 speeds. It appears that we keep repeating the same mistake over and over. 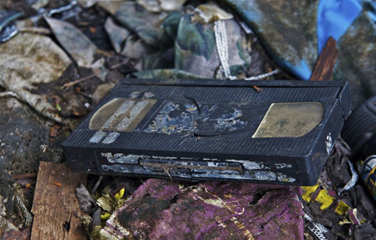 And it's not just for music... who really knows how much content that was released only on VHS was never deemed worthy of digitizing and now is just collecting dust or disintegrating in landfills? There's definitely a pattern here. This problem has been long-known to print. 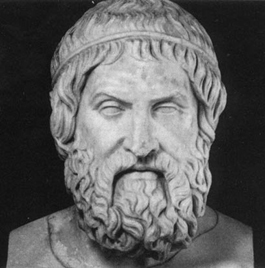 The majority of what Aristotle, Cicero, and Sophocles (randomly picking three authors you should recognize) wrote has never been taught in any University because no copies exist. Not only are we getting an incomplete picture of these authors' output, but we're missing out a staggering amount of knowledge simply because we collectively neglected to properly archive. Even modern works like video games, a medium far newer than vinyl, are not immune to this plight. Currently games that are considered to have abandoned copyright ("abandonware") are not in the public domain for free use and so are at risk of being forgotten forever. When will we learn our lesson? The old adage that an ounce of prevention is worth a pound of cure would apply here, it's a relatively trivial thing to work out the roadblocks keeping us from archiving our popular culture more thoroughly when compared to the impossibility of bringing lost works back from the void. In this case, it's more like an ounce of prevention is worth an infinite amount of cure. Now we're at a point where we've evolved beyond physical formats, and every year more and more people turn to streaming solutions. But so much content from our past will never be available to legally stream. The problem isn't so much that the "rips" are unavailable, but more that the copyright is unclear and the large players that run the cloud-based streaming ecosphere won't touch them. Spotify, iTunes, Google Play, Pandora, Tidal, and the others are all understandably apprehensive. They don't have much incentive to host content for such a limited audience that would make them vulnerable to lawsuits. Back to the future, let's fast forward a hundred years from now when 99.5% of all music is consumed via streaming services. 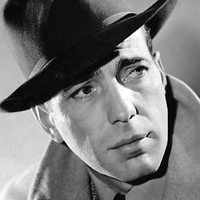 At that point, will "Playing Bogart" be completely unavailable in its original form, erased from history like Marty McFly in that family polaroid? Will people forget that there even was an original version of that catchy Any Trouble tune? Will the thousands of other great obscure records like 23 Jewels' debut also cease to exist as anything other than footnotes in music history? We find ourselves with a tragedy worthy of a classic Greek author; as we know what's out there--we have a good idea of which 45 and 33 speed recordings exist thanks to crowdsourced databases like Discogs.com. It's right there in front of us; of those releases that have gone out-of-print and were never released on CD, a significant number of these "jewels" have been digitized and cleaned up by enthusiasts. These digital copies get passed around among fans and posted to blogs in defiance of copyright laws, hosting pirated content for which they do not have proper rights. In general, blogs get away with this but bootleggers run a very real risk of lawsuit. Lately, Discogs has been cracking down on the sale of bootlegs, and music blogs are subject to be taken down at any time, as such an action is generally just a DMCA request away. Effectively, the current state of copyright law has forced the fringes of popular content to reside in dangerous digital neighborhoods, doomed to eventually fall into the sidewalk cracks of history if we don't act before it's too late. In both 2006 and 2008, Congress attempted to pass an "orphan works bill" that would allow works to be used if publishers made a "diligent effort" to locate copyright owners. Intent to publish orphaned works would need to get filed with the copyright office, and royalties would be made available to copyright owners that stepped forward. This would seem to be a common-sense approach, and yet both bills failed to pass into law. Nick Simpson from 23 Jewels now goes by Nicholas and is an accomplished classical musician and political blogger. He tells me via email that it doesn't bother him in the least that "Playing Bogart" is Any Trouble's most popular song on Spotify. He's happy that they covered the track and shared his song with a larger audience. The experience certainly didn't sour his enthusiasm for producing original music. Clive would be happy to sell you copies of any of these records!